Strasburg Steam: Freight & Passenger - Strasburg Rail Road was founded as a horse-drawn railroad in 1832 in Lancaster County, Pennsylvania to connect its namesake town to the junction with the Philadelphia and Columbia Railroad. 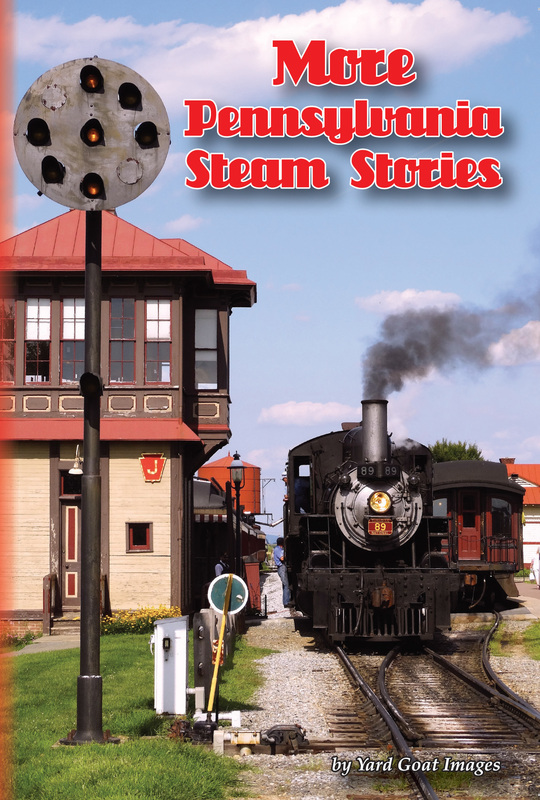 Steam took over in 1851 and the railroad survived until 1957, when it was sold to rail enthusiasts for $18,000. Since then it has become a very successful tourist operation. Most visitors don’t realize it is also a modern freight hauler, connecting today with Norfolk Southern. Best of all, in the summer months the freight is sometimes handled by steam! We present two days of freight and passenger operations with locomotives 89 and 90. Pennsylvania 643 - this good-looking 0-6-0 switcher was built in the railroad’s Altoona Shops in 1901. After 16 years on the Pennsylvania RR, it worked for 40 years at a steel plant. In 1961 it was purchased by the Williams Grove Historical Steam Engine Association and returned to its original PRR livery. This is currently the only Pennsylvania Railroad steam locomotive in operable condition. The all-volunteer Williams Grove Railroad also rosters a classic center-cab diesel switcher built by Vulcan Iron Works in 1953, and is operating in the program. Winter Doubleheader - two very different locomotives from the 1920s have teamed up to provide winter excursions from Minersville, PA on a branch of the Reading, Blue Mountain & Northern Railroad. The trips were headed by the larger of the two locomotives, Reading & Northern 425, a 4-6-2 Pacific type engine, built by Baldwin in 1928. The second engine, Central Railroad of New Jersey number 113, has only recently returned to service after being retired in 1960. The 0-6-0 is a switch engine and designed for power. It was built in 1923 by the American Locomotive Company, in Schenectady, NY. Our program features steamy footage from the first two years of the Winter Doubleheaders.